On Wednesday I browsed the new section on the IKEA website and one of the first things I saw was this set of tiny dollhouse furniture. So cute! I want it even though I don't need it. All items that are part of this set are from IKEA's regular sized furniture collection. Happy Friday and hope you get to enjoy the long weekend! I will have to start clearing out the guest bedroom as it has become more of a storage room lately, in order to store some of the stuff away I will have to reorganize the basement. Sounds like fun...not! Do you have plans for the long weekend? I saw this too, I think this is so cool. 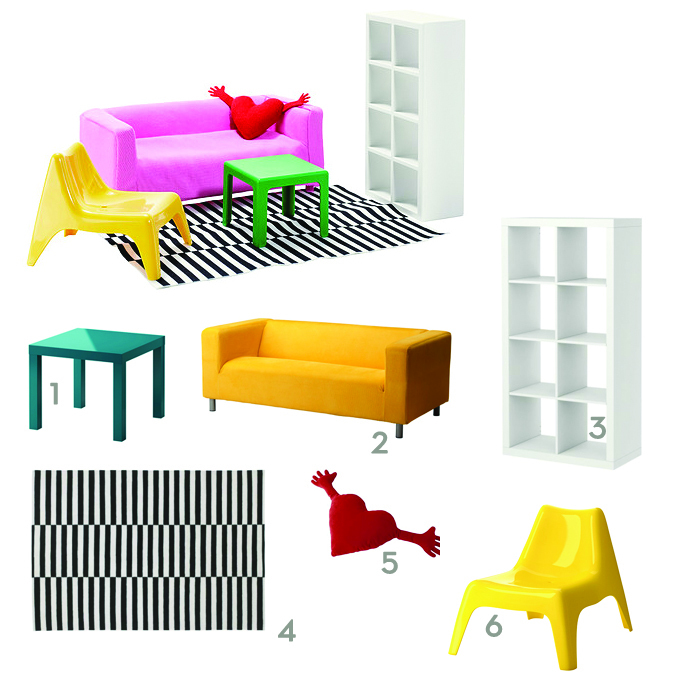 The items they've chosen for the mini living room are really classic, I like! Happy Labor Day weekend - enjoy! oh. my. gosh! i need this. er, i mean m&l need this ;) adorable. Haha, found the perfect present for my mom! She has a doll house (well, with tiny teddy bears) - perfect. The only thing I'm a bit pissed about is that the price in $ and € is the same. Metal Components are used by many people in this world in many forms. They used to create various product using metals which they can use it very often.Hence metal components should be created with high quality. It is so like IKEA to have such simple but good products. What makes them so cool is that they are quite cheap. I got to go to the store to check out for more.